Eaton Transmission. 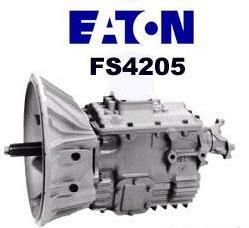 Rebuilt, New and Used Eaton Truck Transmissions. Eaton Transmission. When you need to replace your Eaton transmission, repair it or rebuild a truck transmission unit, we can help by supplying the products you need at fair prices and fast delivery all over the world. We offer a complete line of fully rebuilt Eaton transmissions for trucks as well as a wide selection of used take-outs and new units direct. We can also supply all the repair parts you will need to repair or rebuild any Eaton truck transmission model. We supply units and parts to individual truck drivers, fleet owners and repair facilities all over the world at discount prices with quick delivery. 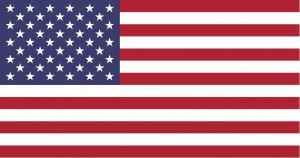 We have hundreds of rebuilt units in stock in our locations all across the USA for fast reliable delivery to your place of business. All we ask is the opportunity to quote you on your truck transmissions, transmissions, transfer cases and PTO needs and we will let our great pricing do the rest. Give us a call or drop us an e-mail from the contact page and we will get back to you with all the available options for your model. Please get the tag information and ratio off your Eaton transmission to expedite the process. If possible call when you are near the truck so we can ask a few simple questions to be sure we deliver the proper product you need. So, if it’s a rebuilt Eaton transmission you need, a good used take-out, a brand new one or parts to repair yours we have you covered with discount pricing and fast, low cost delivery right to your shop, repair facility or door. All Eaton rebuilt exchange units come with a full one year, unlimited mileage warranty and a name trusted throughout the world for reliability, customer service and fair pricing. We also will rebuild your Eaton Transmission for you if you’d prefer. We will pick it up and deliver it back to you fully re-manufactured and ready to install.